Sorry folks! I got way behind on approving article comments. Unfortunately the spammers are non-stop so I have to manually approve every message. So, if you posted a question or comment on an article in the past few months, it just got approved. I’ll try to keep up w/ it better from now on. For the most part*, all of the items in the store are things I have personally purchased and use for my retro gaming hobby. 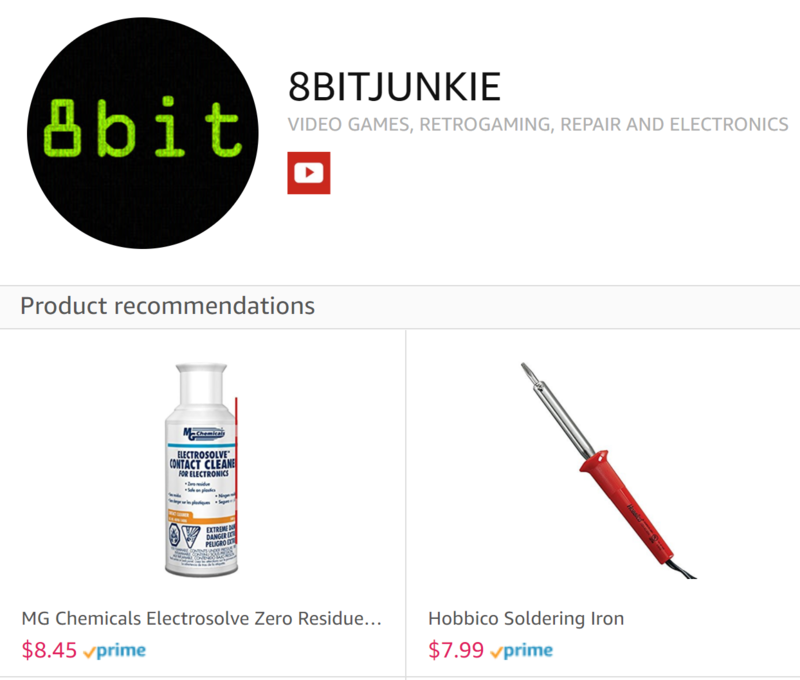 You can see many of these tools in use on the 8bitjunkie YouTube channel which is mainly focused on console repair how-tos. *I have not tried the cheap soldering iron in the store but I selected the cheapest one that had OK reviews. If you know of a really good, cheap soldering iron on Amazon please let me know which one. If you purchase items through the store, I will receive a small commission from Amazon (no cost to you) which will help support this site and the creation of new content. We are no longer selling bezels, but we are giving away the model so anyone can use it. 8bitjukie Bezel by Christopher Favreau is licensed under a Creative Commons Attribution-ShareAlike 4.0 International License. We will no longer be selling bezels. However, the STL model to 3D print the 8bitjunkie bezel will be made available for download soon. If we find a 3d print company to continue selling them for people that don’t have access to a 3d printer, we’ll link out to them. An update to the RPIO library that’s available in recent linux distro releases, including the latest release of RetroPie, broke the easy button shutdown script. I have updated the script so it should be working in general. 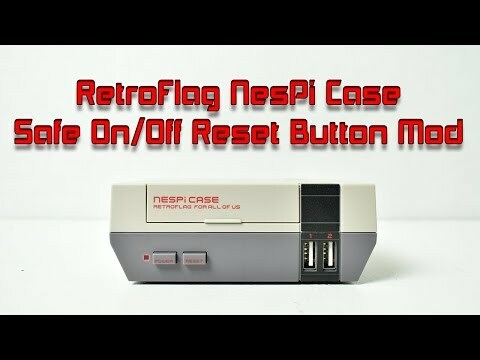 Check out ETAPrime’s new video: NesPi Case Safe Shutdown Reset Button Mod Power Button for the Retro Flag case using a modified version of the 8bitjunkie “easy button” script. Check out this video by ETA Prime. He uses the “easy button” install script I wrote and includes directions on how to install putty. The store is turned back on. Please note that while everything is “in stock”, the bezels are for the most part printed to order, so it may be 5-7 days before your order ships (but often is quicker than that). I’ve got a bunch of things I need to get done over the next couple of weeks so I’m not going to be able to take new orders for a bit. If you’d like to place a large bezel order (say 20+), contact me so I can get the 3d printer working on it, but note that I won’t be shipping anything for at least a week or two. 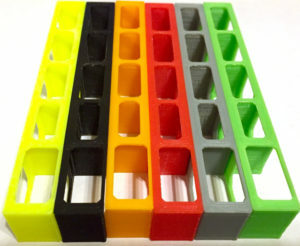 We now have NES Pi cart bezels in more colors including green, yellow, red and white.